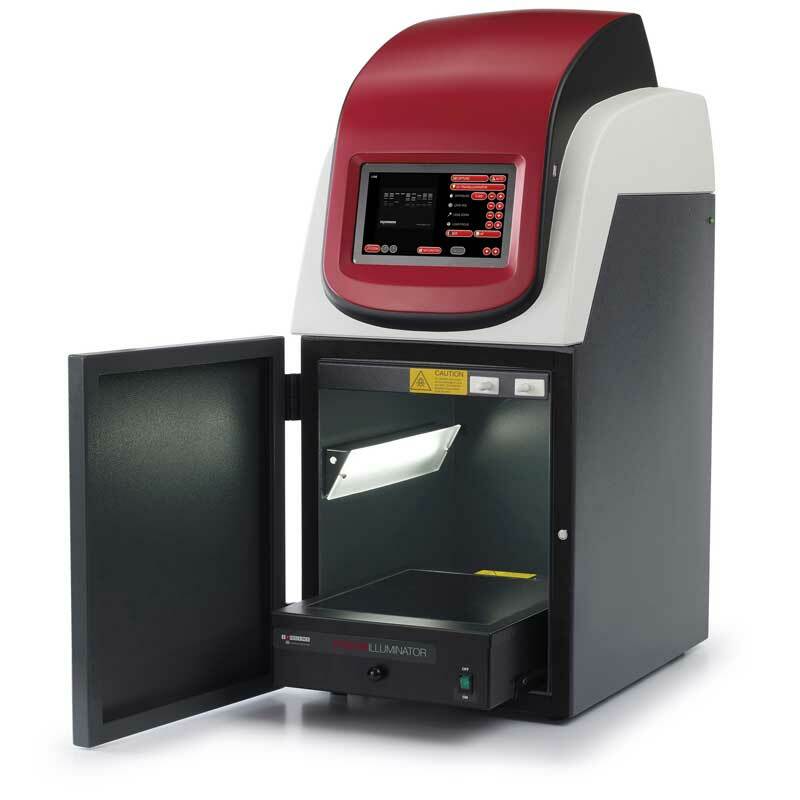 "Syngene NuGenius and NuGenius+|Gel Documentation System"
NuGenius is a new generation, low cost, integrated imaging system for DNA and protein analysis and gel documentation. 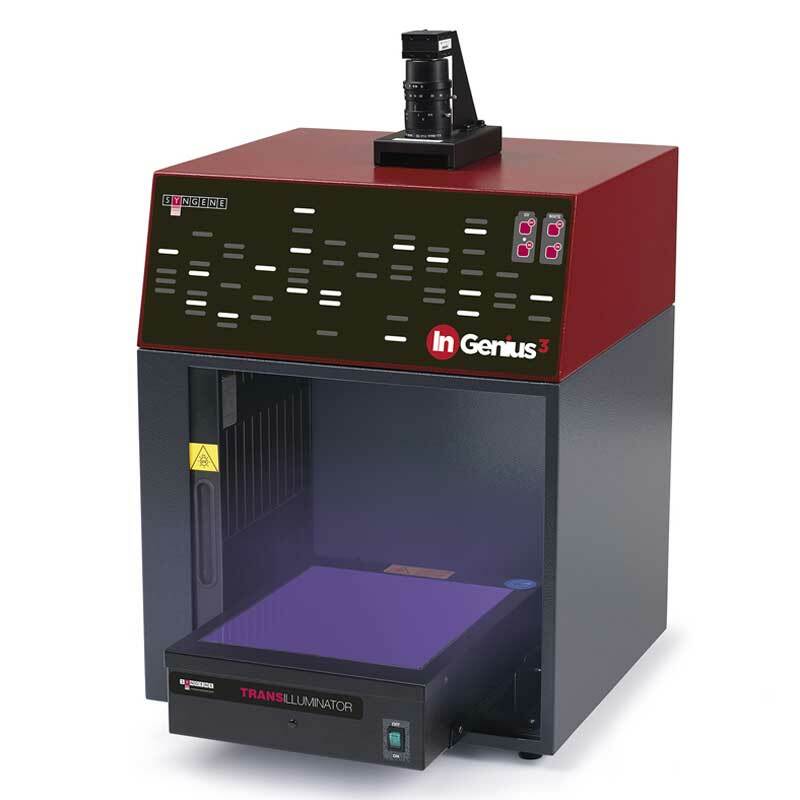 NuGenius is the ultimate in compact gel documentation workstations. Using a choice of UV, blue or white lighting options you can capture and edit images of fluorescent ethidium bromide, SYBR® Safe or GelGreenTM DNA gels and protein gels stained with Coomassie Blue at the workstation. 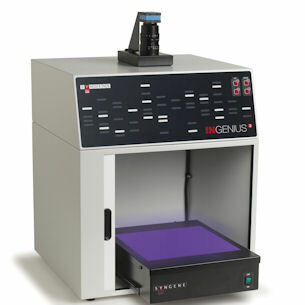 You can even capture stain-free gel images using a NuGenius+ which is specially optimised for this application. 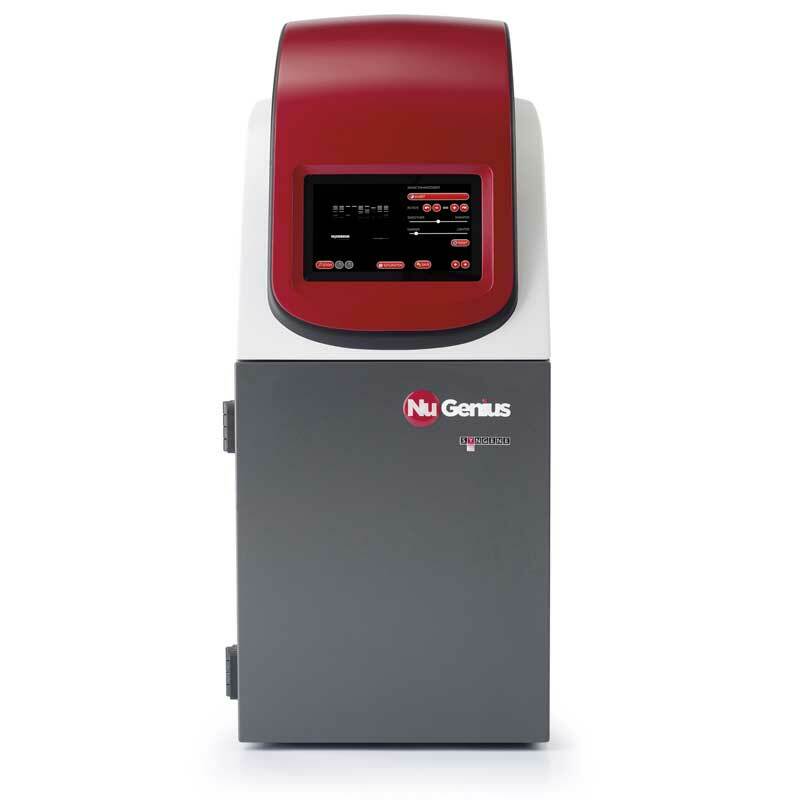 For an entry level system, the NuGenius comes with a ground breaking 5 million pixel CCD camera giving superb pixel resolution and unrivalled sensitivity. 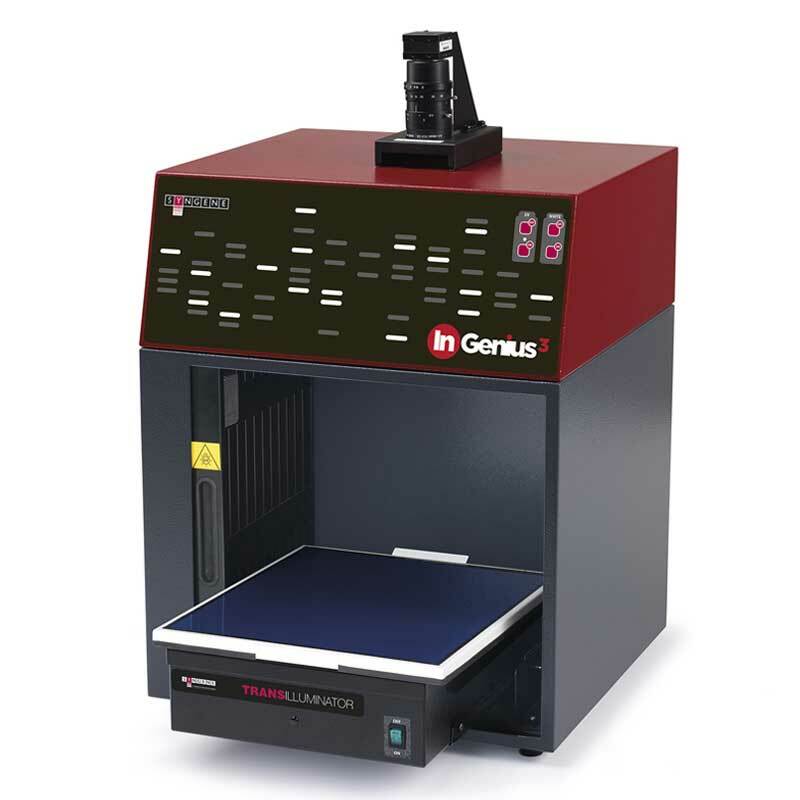 NuGenius offers a maximum viewing area of 20 x 24cm which is very large for such a small, compact unit. 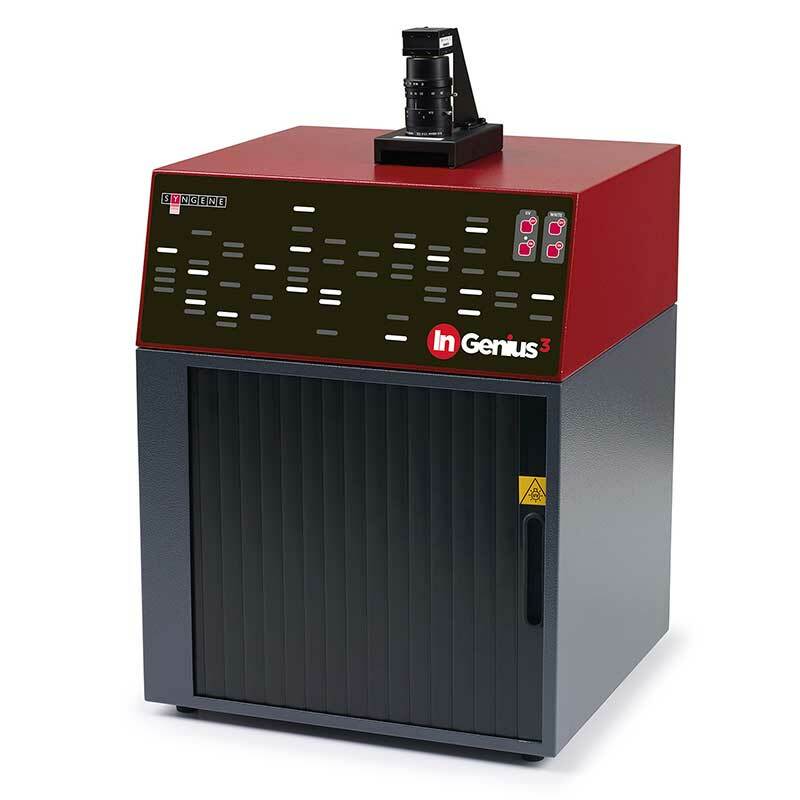 NuGenius+ has been designed for stain free applications. NuGenius+ can be automatically set up in seconds to capture great images of TGX Stain-Free™ FastCast™ acrylamide gels, Mini-PROTEAN® and Criterion™ TGX Stain-Free™ precast gels. Utilising this cost-effective system for imaging stain-free gels will save researchers hours of staining preparation time. Gel imaging at a touch. 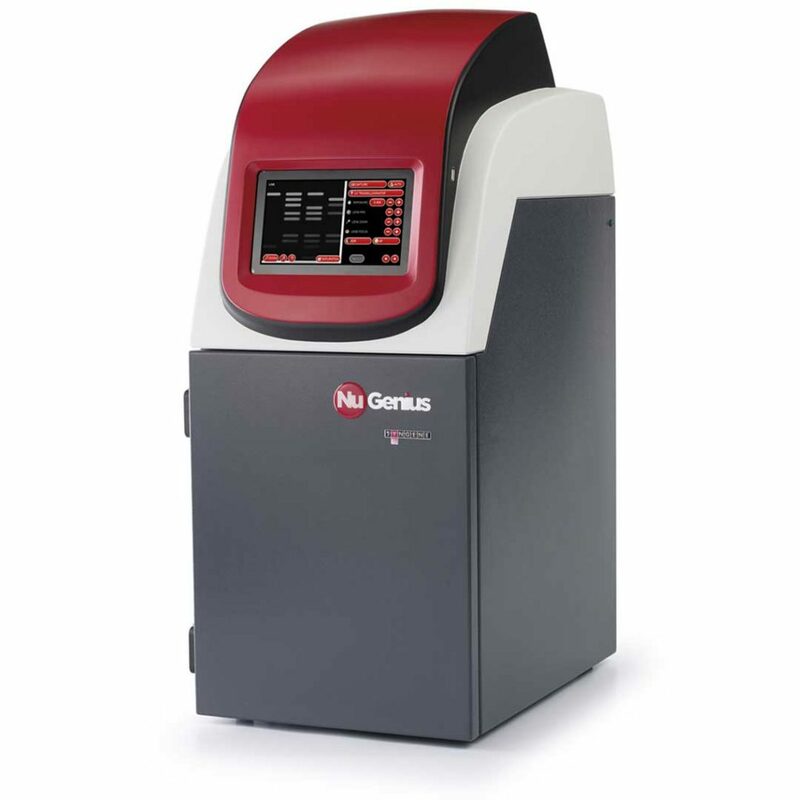 DNA and protein gel imaging your way!